In Victorian times stair clips were a popular and fashionable accessory, however modern fitting methods sadly consigned them to history. At Stair Rods UK, we have revived this beautiful product. 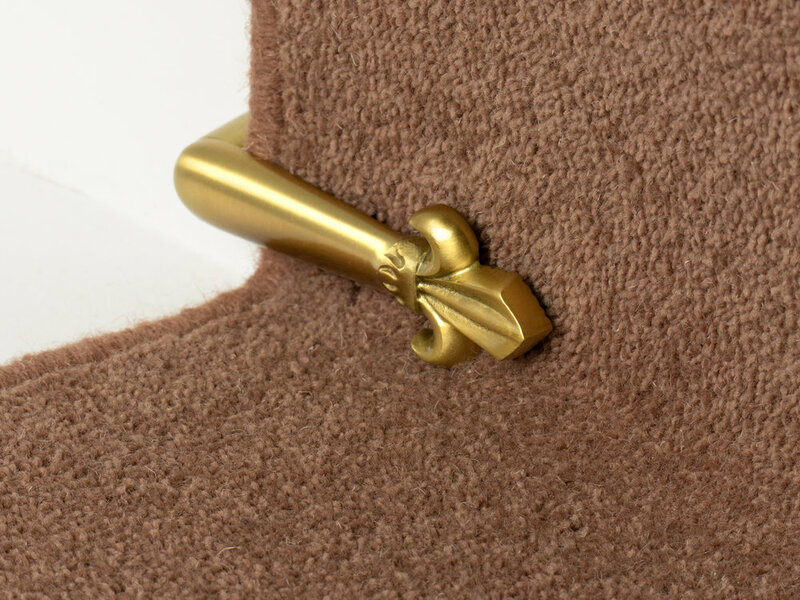 Our stair clips are solid brass and we use traditional manufacturing methods to give them quality and authenticity. They will recreate the look of yesteryear and add a distinctive touch to your stairs. FInishes: Brass, Antique Brass, Satin Brass, Black, Pewter, Satin Nickel or Chrome.